Leading Manufacturer of italian diesel burners, diesel burner and diesel steam boiler from Gurgaon. The Italian Diesel Burners have a durable structure and a desirable appearance. These products are a great solution for a number of combustion processes. These burners provide a stable performance and have a long life. We being one of the market leaders consider quality to be our priority and for this, we only use high-quality raw materials and send our products for a number of quality checks. The quality product we provide, we provide it at a very affordable price. Ours is a firm widely engaged in the process of manufacturing best quality burners and in this range, we are offering Diesel Burner. The offered range has been incorporated with an array of exclusive features for efficiently running on diesel fuel. It has been availed to the customers at the most comprehensive prices and in a wide variety of specifications. 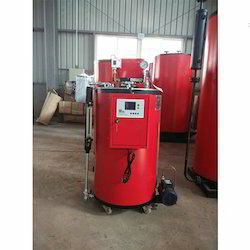 We are offering Diesel Steam Boiler.